Pediatric patients can wear this continuous glucose monitor and send glucose data directly to a doctor. Pediatric diabetes patients at Lucile Packard Children’s Hospital Stanford are testing a new way of monitoring glucose levels with their physicians. Patients with type 1 diabetes typically have to wait months before reviewing with their doctor why glucose levels drop too low or raise too high. But with new technology they can communicate in minutes. Patients wear a continuous glucose monitor by Dexcom, which sends 288 blood sugar readings a day to an apple mobile device using bluetooth. That data is then sent to a secure health data management system where doctors receive those readings every five minutes. Doctors can them monitor a patient's glucose levels remotely, and send a message to the patient right away over the phone. Currently, a type 1 diabetes patient reviews glucose with a doctor just once every three months. "Dr. Kumar can just look at it and he can say this happened last night as opposed every six months going this happened three weeks ago,” said Blake Atkins, a patient at Children’s Hospital. “I'm not going to remember what happened three weeks ago. I'm a teenager, I don't remember things,” Atkins said. 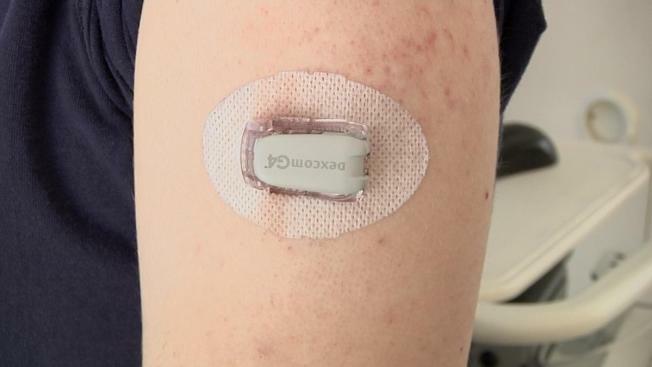 Parents can also monitor their children's glucose levels using the technology. There is a three-hour delay when data is sent to doctors, but they say the technology allows them to spend less talking numbers and more time engaging with patients and their families.